Discover what type of investor you are! Take our property investment survey, and receive your free report and e-book today!! Start your property journey now. Do you know what you want to achieve from your property investments (in terms of a financial outcome)? Do you know how much income you’ll need each year once you stop work? Are you highly motivated to work hard to build your wealth outside of your paycheque? Do you have a regular and reliable source of income now? Are you currently living in Sydney? Do you have a solid understanding of your cash flow, weekly expenses and outgoings? Can you clearly articulate what you need to do to be able to execute your investment property plan effectively? Do you have a strong understanding of what to look for in an investment strategy? Do you see value in utilising the services of a financial property expert? 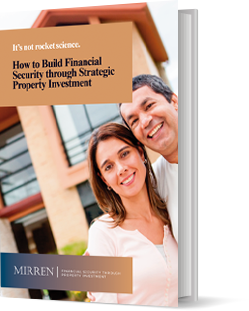 Are you prepared to do the research to ensure the viability of your investment property portfolio? Do you have an understanding of the type of property that would best fit your financial circumstances and lifestyle? Do you have a preference of investment property type (freestanding home, apartment, townhouse)? Do you understand the concept of positively geared properties and how they can benefit your financial outcome? Do you understand how passive income works for you? Do you know how many properties you would need in your portfolio, to generate passive income to support you in retirement? Do you know and value what a good property manager does? Do you understand that the ongoing management of your property is essential to ensuring the financial viability of your investment portfolio? Do you understand how to use the equity in properties to continually grow your investment property portfolio? Do you appreciate how tax depreciation on your property can greatly improve your financial situation? Are you prepared to keep researching as you expand your portfolio? Do you understand the concept of leveraging and compounding capital growth? Do you know what you want to achieve long-term with you investment property portfolio? Have you thought about the kind of lifestyle you’d like to lead, once you have a strong passive income from your investment portfolio? Do you understand the financial repercussions of delaying purchasing an investment property? Do you recognise the impact the decisions you make today will have on your financial future? Thanks for taking our ‘Five Strengths of a Successful Property Investor’ survey.